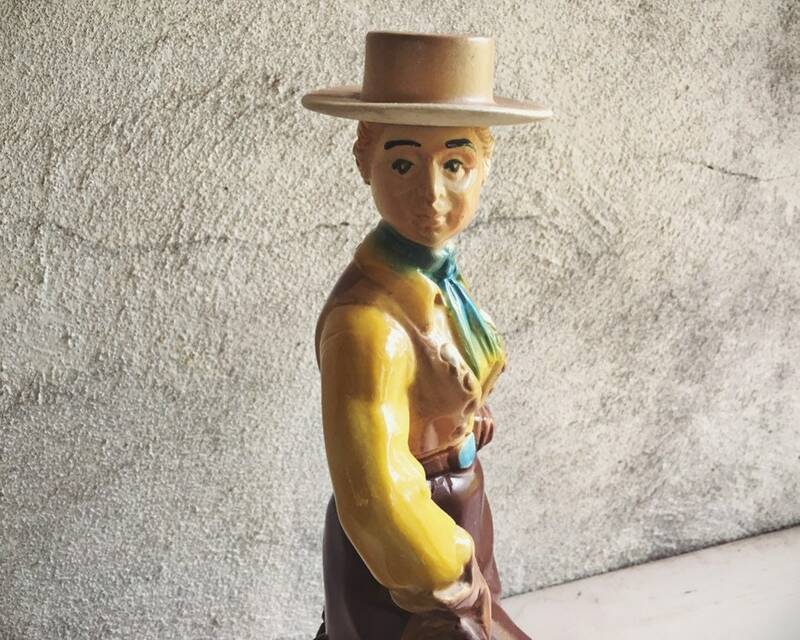 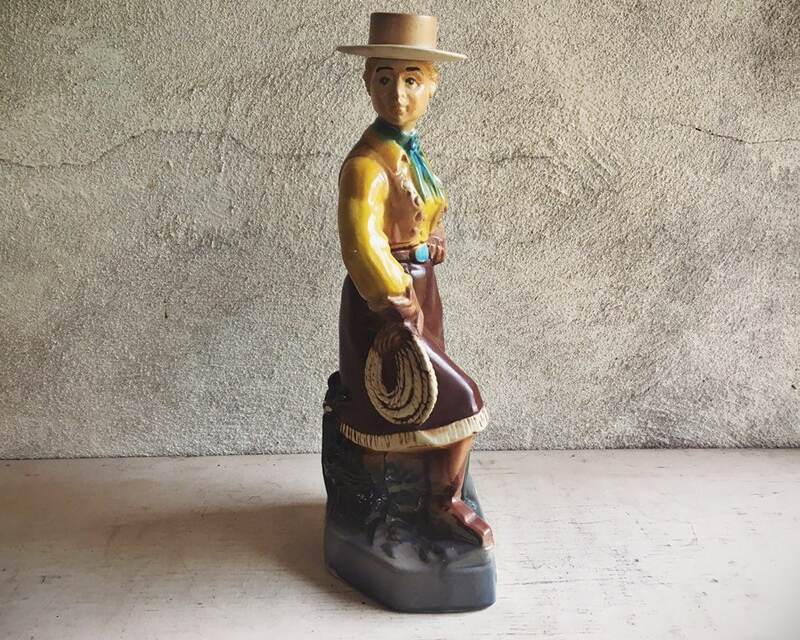 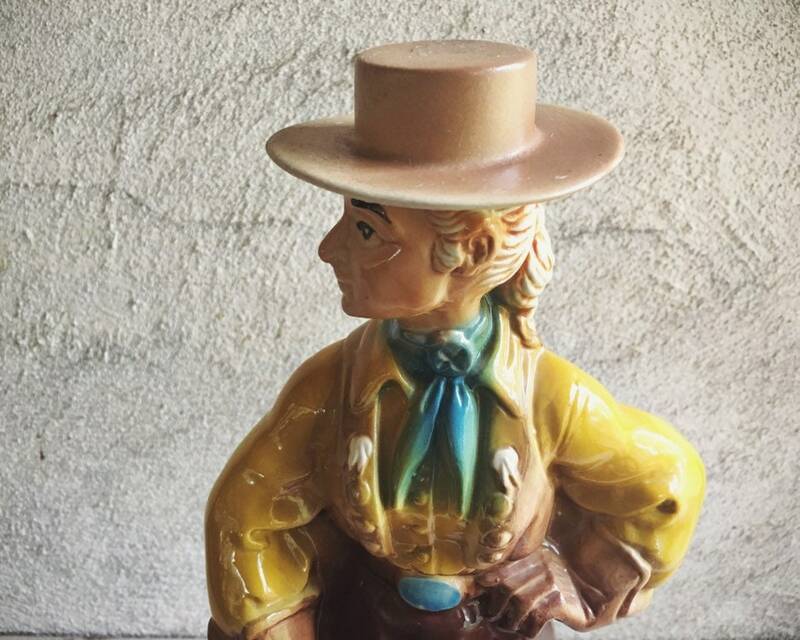 This vintage Ezra Brooks Bourbon decanter stands out for the fabulous cowgirl who wears a fringed skirt and carries a lasso. 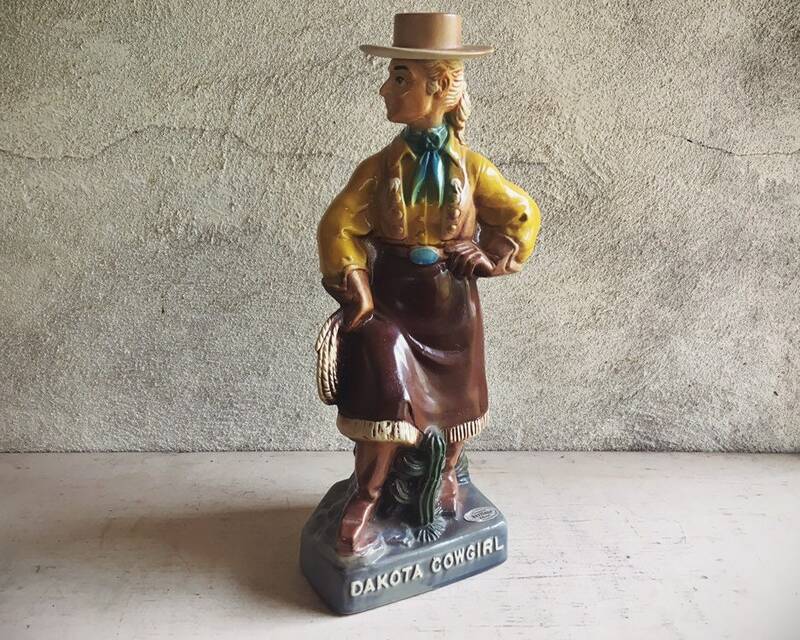 Dubbed "Dakota Cowgirl," this is #101 and was made in 1976. 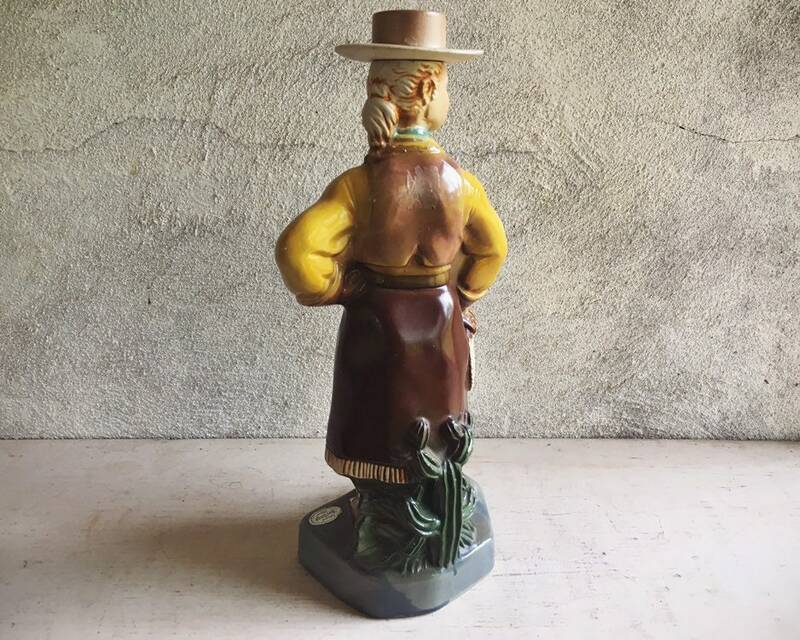 Among Ezra Brooks collectible decanters, this is one of the more uncommon. 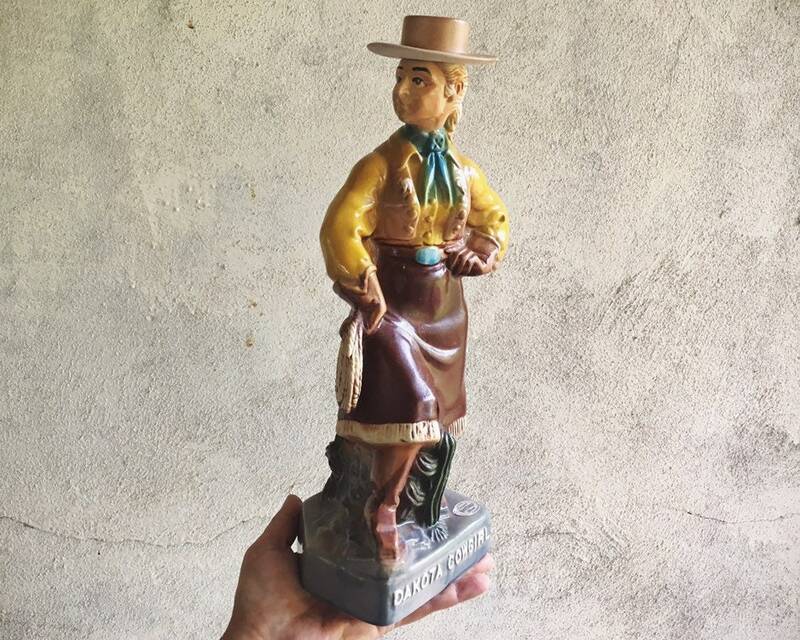 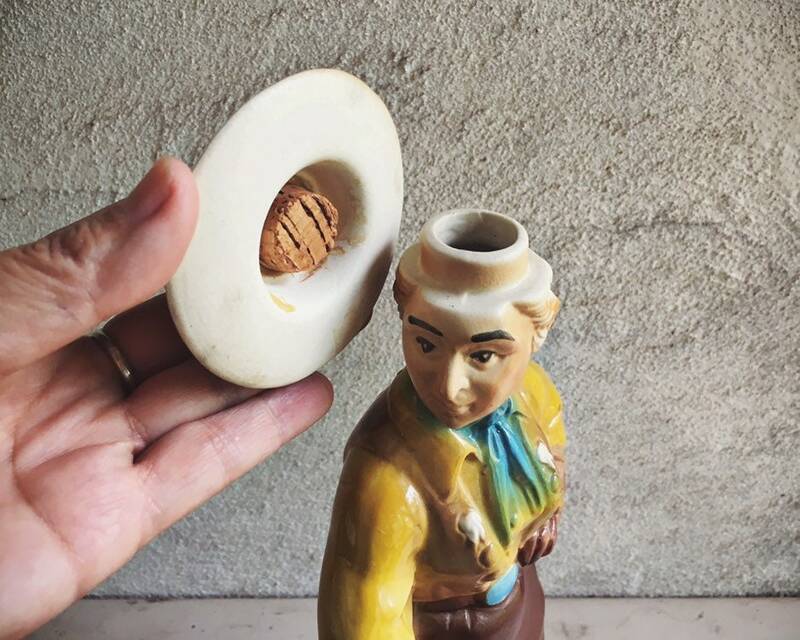 Her hat carries the cork, and when it comes off she looks mighty odd. 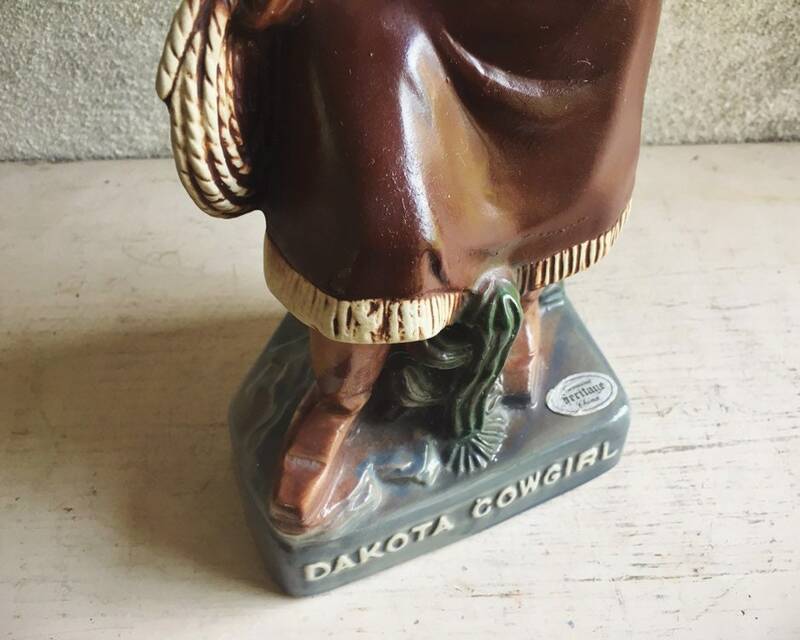 Perfect gift for the cowgirl or cowboy in your life, and a great decanter for that lonely old cowboy who could use some company! 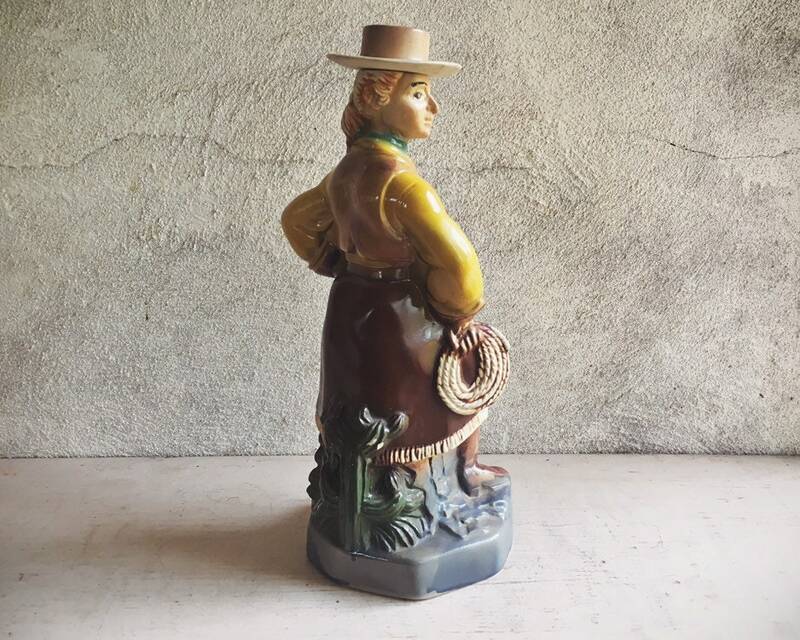 The bottle about 13" tall, and is in good vintage conditon with no chips or cracks. 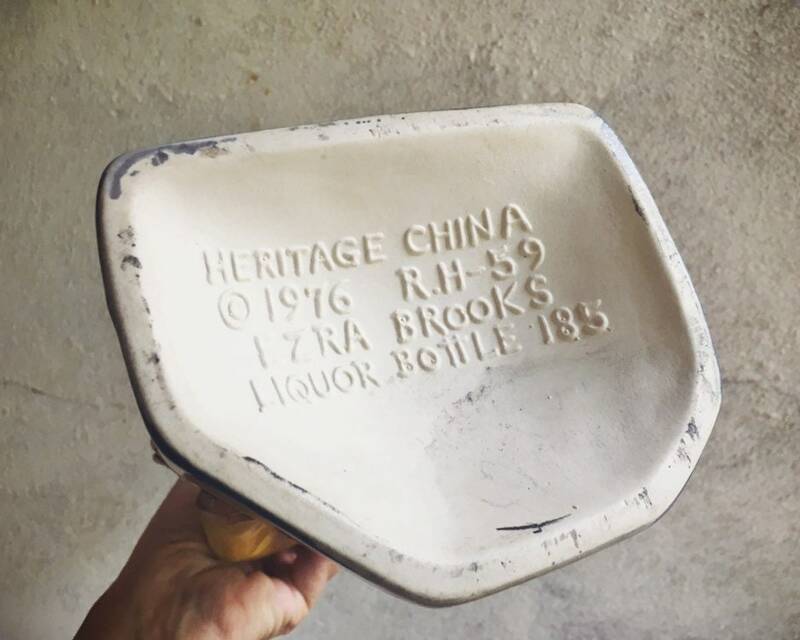 A great addition to anyone's vintage barware or decanter collection.